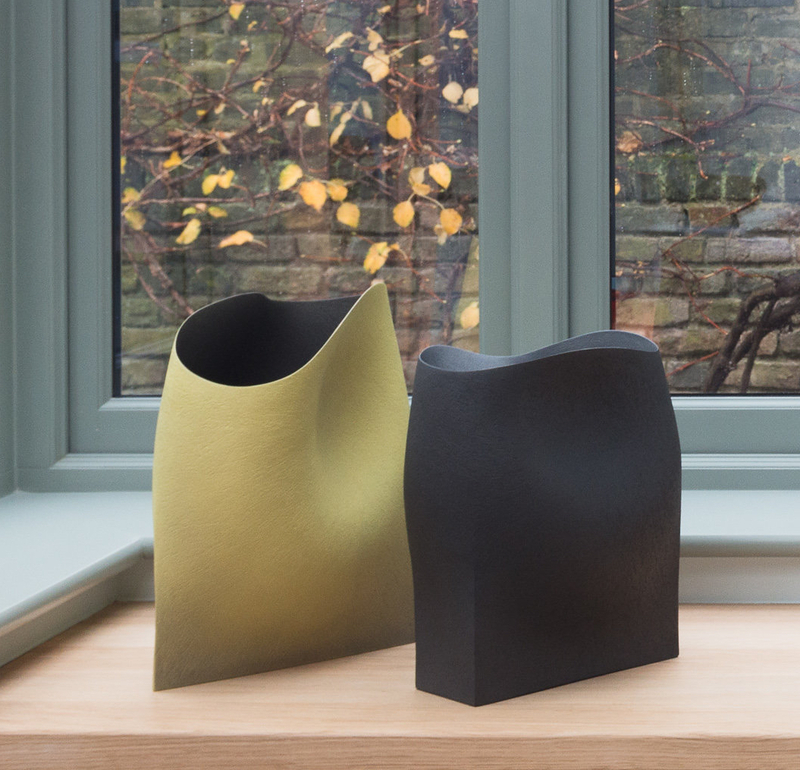 Hanna Ashraf is an Egyptian-born studio potter resident in Britain. 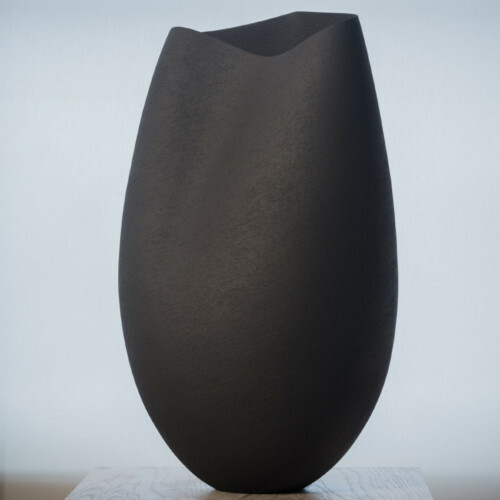 Ashraf studied art and design at El-Minya College of Fine Art in Egypt from 1986-1989 and theater design at Central St. Martins College of Art & Design in London from 1991-1994. 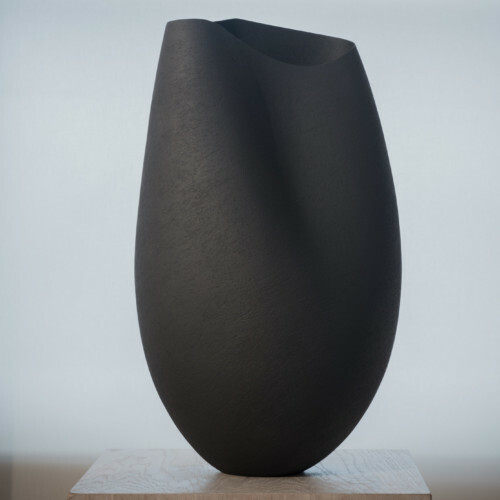 He began working with clay in 1997 and established a studio in 1998. 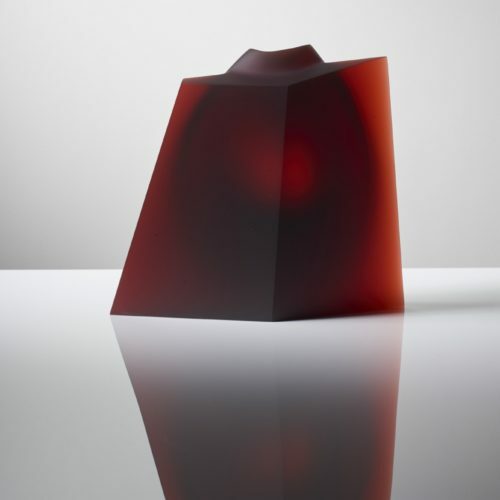 In 2009 he went to the Royal College of Arts to complete his MA in Ceramics and Glass. 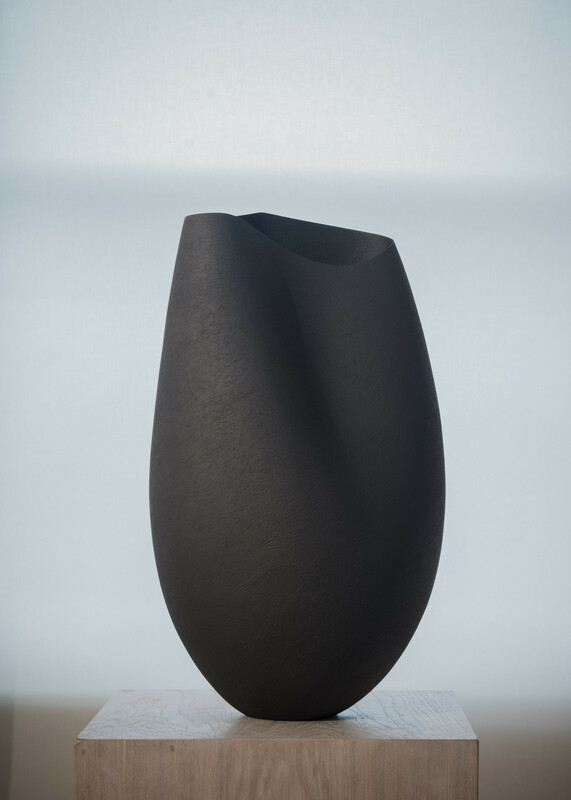 Hand-building my forms, I make both individual and related groups of vessels, each object informing the next. 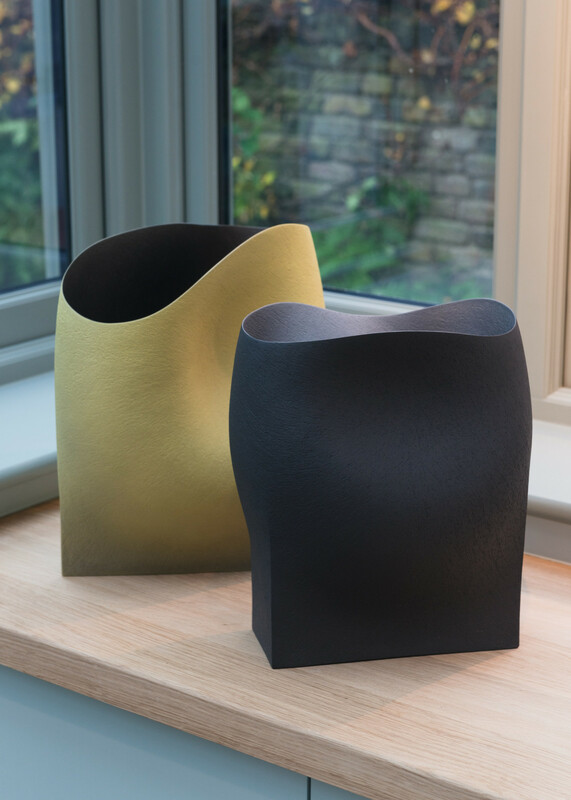 The profiles, lines and spaces emerging from this process of development, their ultimate placement in relation to one another, the juxtaposition of sharp lines and softer curves, have become a major interest. 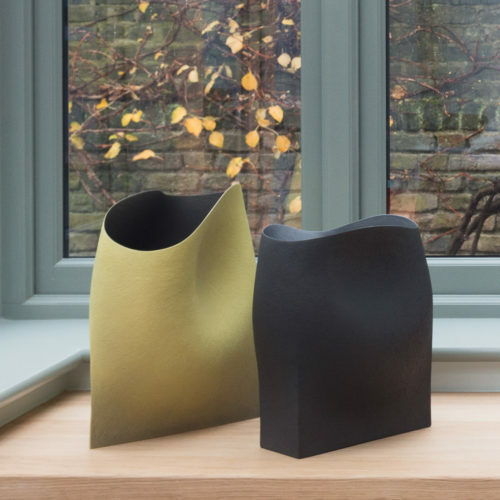 The forms are further enhanced by the introduction of a carefully considered, restrained palette of refined slips and stained clays. 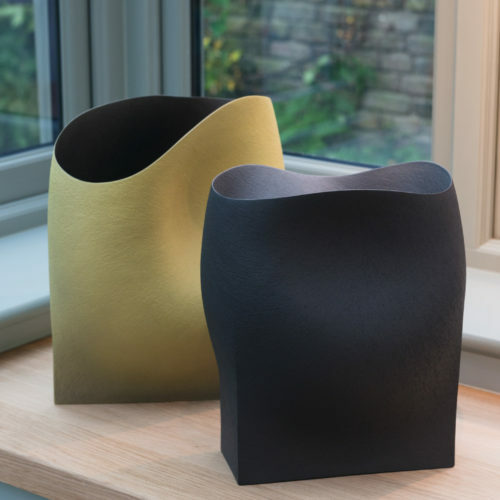 The pared-down nature of these new forms and the subtle surface treatments combine to produce vessels that are concerned with essence of form. 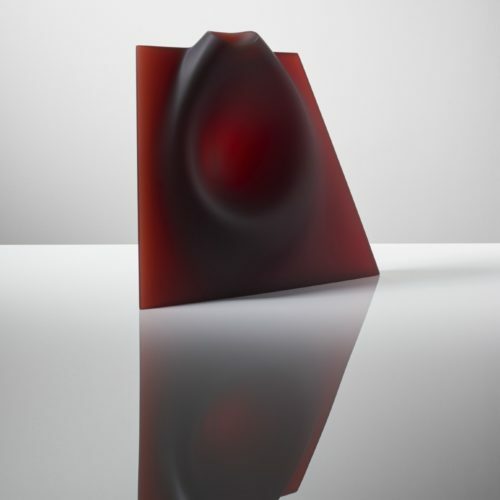 I discovered kiln cast glass during my MA at the RCA 2009-11. 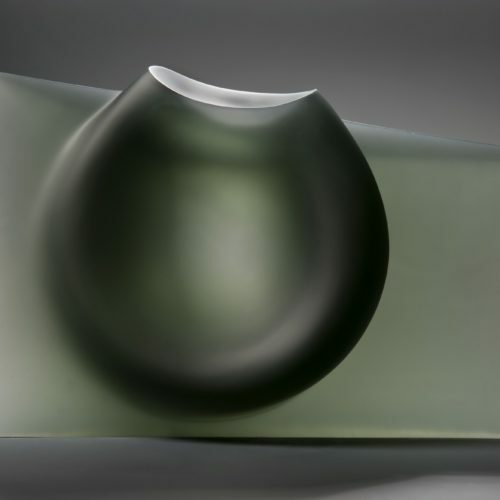 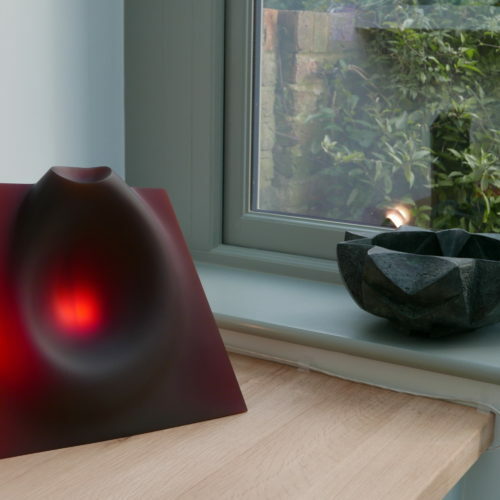 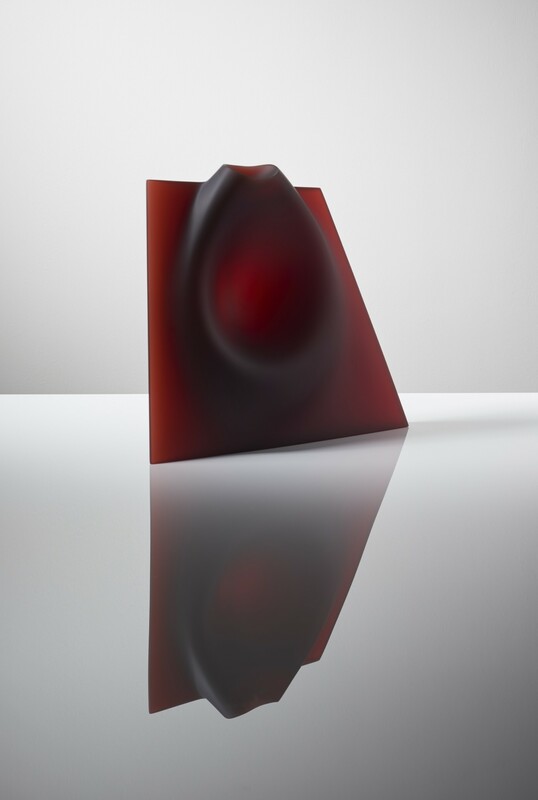 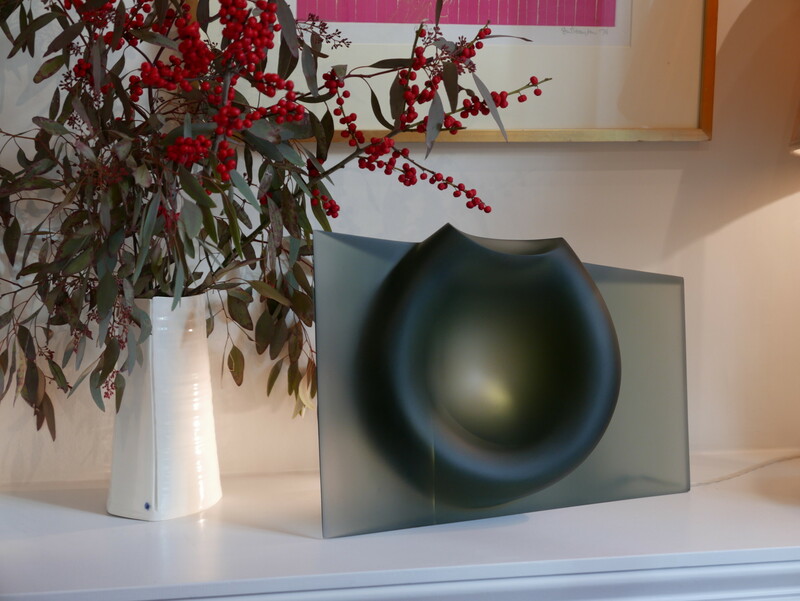 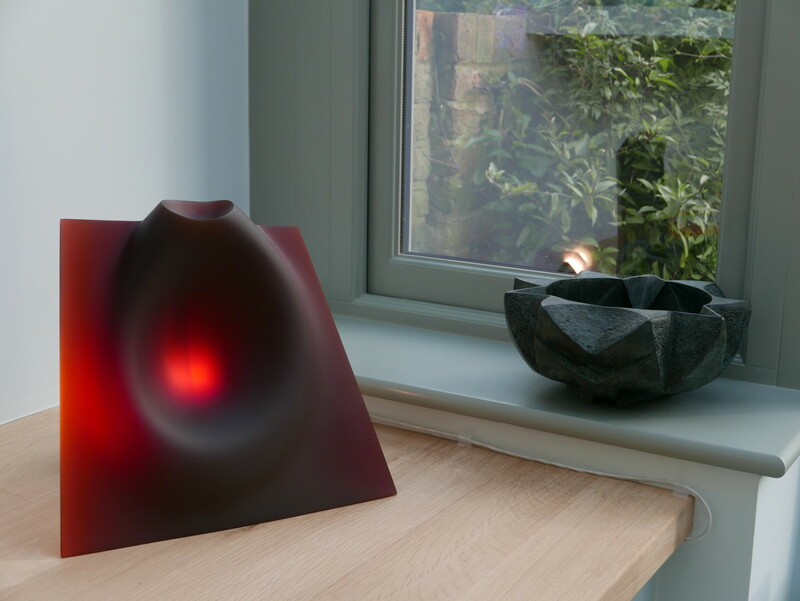 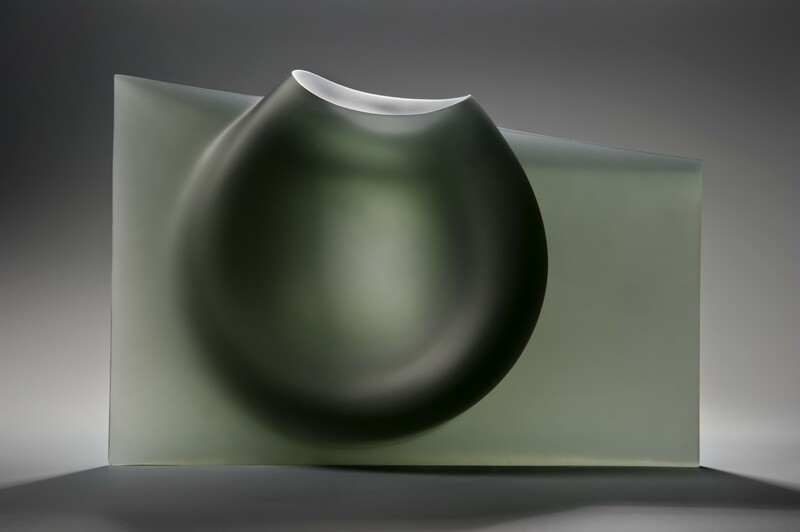 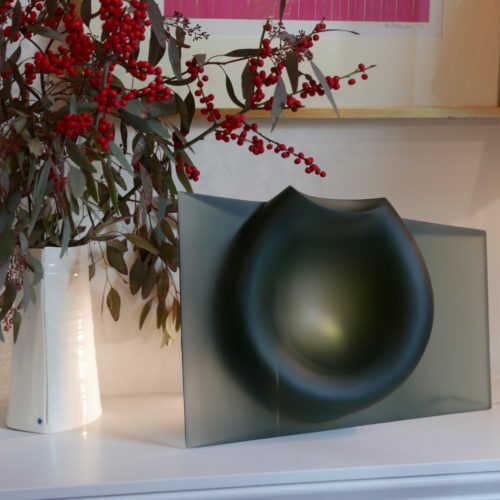 A Major Creative Wales Award from the Arts Council of Wales enabled further investigation in glass as part of a research project entitled ‘An exploration in the language of form and material’. 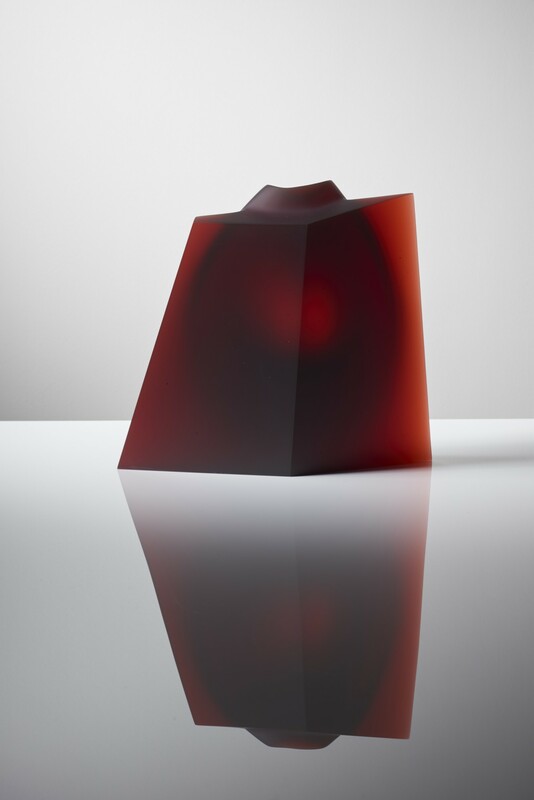 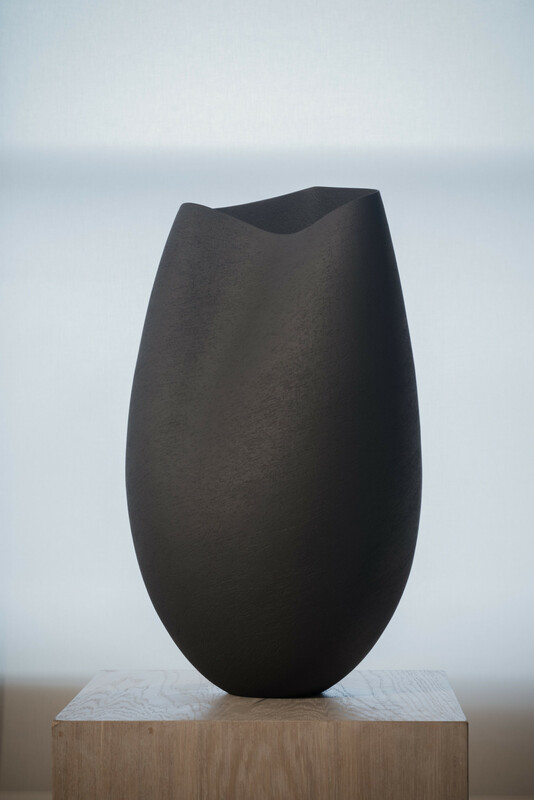 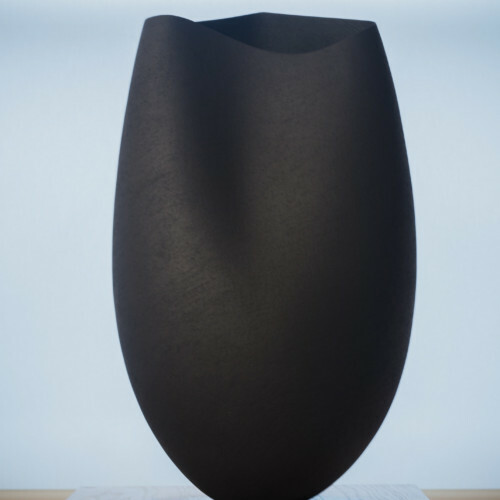 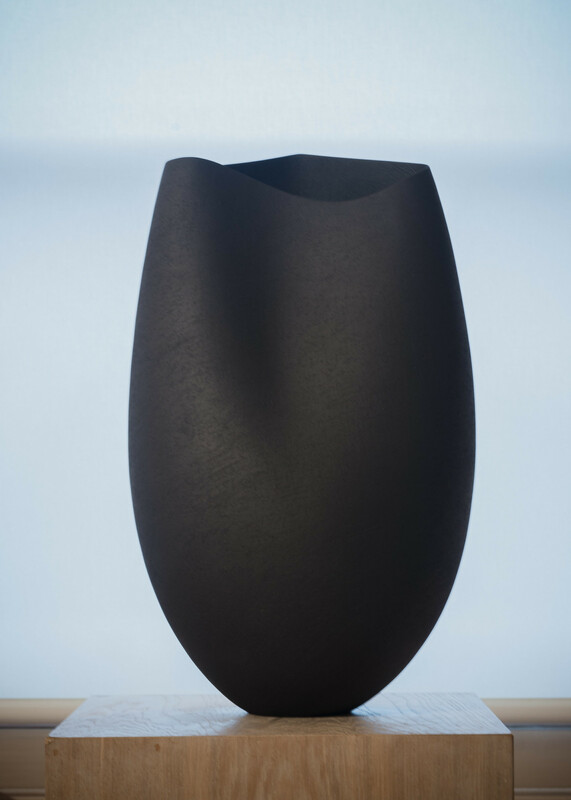 The pieces made during this project were submitted to the British Glass Biennale where the Blue Vessel Form(untitled 1) received the main award.